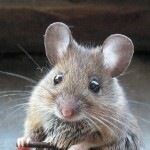 Mice and rats are very common pests in both urban and rural areas. Despite the fact that people have been dealing with rodents for hundreds of years now, there are still many myths related to them. In order to control rodents, it is crucial to be able to separate the facts from myths. This is why we have created a short list of 5 myths about rodents. Whilst it is true that there are cases where property damage caused by mice and rats is very high, it is also true that the health risks linked to rodents are much worse. After all, you can always fix the damage in your home or office caused by rodents and you can do this in a matter of days, but there are many diseases and health problems caused by rodents that are difficult to heal. These rodents can pollute food and spread different diseases. Trichinosis, leptospirosis and salmonella are some of the parasites and viruses carried by rats. prefer these foods. They even like seeds more than cheese. If you are living in an area where the climate is dry, moist foods can serve as perfect baits. This is another myth. Most of the rat poisons don’t cause any radical changes in rats before they die. In addition, it takes a few days after the consumption before they die. The most common place where poisoned rodents die is in their burrows or nests. If there is a proper sanitation in the building, the chances of rodent infestation will be reduced, but this doesn’t mean that perfectly clean businesses and homes can’t witness the emergence of rats and mice. Rodents have the ability to sharpen their teeth by grinding their teeth against each other. The reason why they chew almost everything around them is to collect materials for making nests. For all your rat and mice control problems, please contact Pestbusters now.